The original page used client side image maps, and that was pretty, but a little search and replace turned it into a usable (I hope) table of links. Enjoy. Okay, if there are any bad links, freepmail me. I checked out a number of them, and they all seemed to go to the correct place. My daughters and I went to the Valley in the summer of 2000. 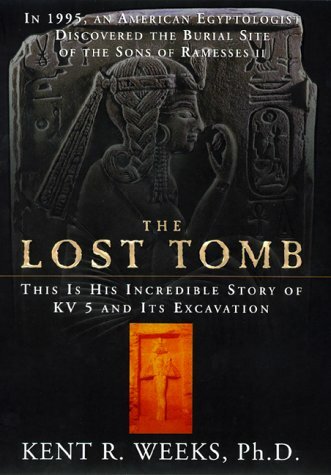 We got to go in 3 tombs and I stood and stared lustfully at the iron gate at KV5. Fantastic trip. Boy, that's a lot of information. "The first stage of developing this masterplan is a consultation process involving as many interested parties as possible and we are particularly interested in the views and suggestions of previous visitors. Therefore, we invite you to take part in our online survey." 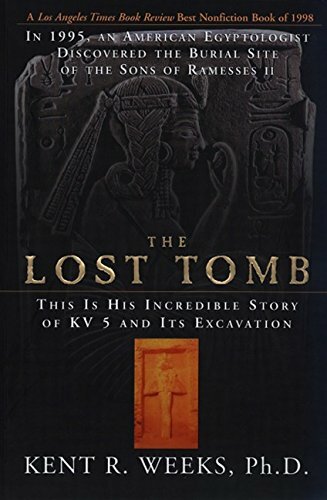 even apart from the flash movies, there are enormous (and rigorously organized and detailed) multiple pages on each tomb, plus pdf files, and a fair number of graphics. Still would like to see more tomb wall and ceiling paintings. WOW. This is an amazing site! Beautiful. Well done, and wonderfully executed. Really going to enjoy this when / as time allows - lots to see. Thanks for the link on your FR homepage. "An anatomical examination cannot identify the individual, but it can provide information useful in evaluating the theories various scholars have proposed. The human remains from Tomb 55, as presented to me, are those of a young man who had no apparent abnormalities and was no older than his early twenties at death and probably a few years younger. If those wanting to identify the remains with Akhenaten demand an age at death of more than mid-twenties, then this is not the man for them. As an obviously younger individual, some people might like to identify the remains as belonging to the mysterious Smenkhkare." The largest object was a wooden shrine, sheathed in gold, that had been made for the funeral of Queen Tiye, the mother of the late 18th Dynasty pharaoh Akhenaten (r. 1350-1333 B.C.). This pharaoh's name could be read on two of the four clay bricks found on the tomb's floor. In the niche were four jars, originally inscribed for Kiya, a secondary wife of Akhenaten, mismatched with stoppers bearing exquisite portraits, probably of one or more of Akhenaten's daughters. The strangest of the tomb's contents was an elaborate coffin, also originally for Kiya as attested by reworked yet still decipherable inscriptions, but adapted for a male burial by the addition of a beard and the alteration of the inscriptions. The face on the coffin had been broken off and the royal names on it, which might have identified its occupant, removed. Kent Weeks appeared in the broadcast. According to a Washington Post article, 5.5 million viewers tuned in to the documentary when it aired August 17, 2003, putting it in the top ten programs ever for the cable channel... Joann Fletcher had a golden opportunity in this book. She could have answered her critics' negative assessment of the evidence she presented, but she did not. She could have addressed the controversy and the response of the Egyptian authorities, but she did not. She could have made a full presentation of her team's findings, but she did not. She could have acknowledged that--even if she was unaware of it--someone had made the identification before her... Perhaps the book manuscript was recently completed and Fletcher just didn't care. Alternatively, the book was completed at the time of the broadcast--even begun before?--and in the intervening year no update was undertaken for whatever reason. In either case, the result is a missed opportunity on many levels. Meanwhile, The Search for Nefertiti will advance Fletcher's interpretation--rejected for good reason by most scholars--and will leave in its wake a misinformed public. And Nefertiti? There's simply no reason why her mummy must have survived. It could well have been destroyed long ago. "Last year, Seven Wonders Travel organized a fundraising trop for the Theban Mapping Project. Participants called it the 'best tour of Egypt ever'a combination of exciting off-the-beaten-path site visits, access to normally locked tombs, superb accommodations, flawless organization, and delightful companionsthat set the trip far above the usual quick-tours of Egypt. This year, the TMP and Seven Wonders Travel are offering an encore. And this trip promises to be even more exciting, with a tour through Egypt's beautiful and intriguing Wadi Hammamat, a day on the Red Sea at Egypt's most luxurious hotel, and more visits to sites that are normally closed to visitors. Susan, Janice, and I hope that you will join us on this outstanding adventure. 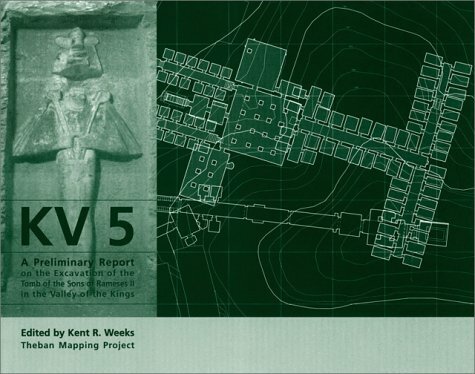 We promise a great timeand a chance to help the Theban Mapping Project continue its important work in the Valley of the Kings. "For forty years, my wife Susan and I have been digging in Egypt and Nubia, most recently in Thebes and the Valley of the Kings. We know that you share our interest in ancient Egypt and that you follow the work of the Theban Mapping Project. "We will be your hosts on this 17-day tour of Egypt, from Cairo to Aswan, as we introduce you to 'our Egypt.' The trip will be a unique opportunity to learn what it is like to be an Egyptologist, living and working in a land some consider Paradise. Please join us for this once-in-a-lifetime experience." © 1997-2005 Theban Mapping Project. Bumping this to save the list.